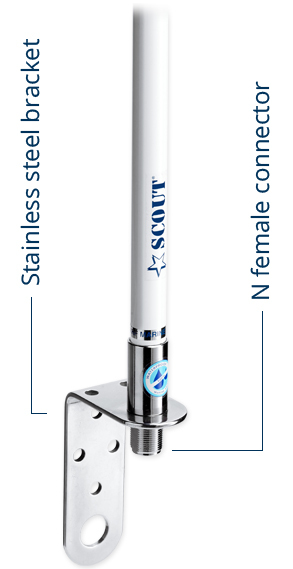 The item that the whole marine industry and all the professionals were looking for is available: now you can get Scout high performance antenna in combination with the precision of the markets leading Windex wind indicator. 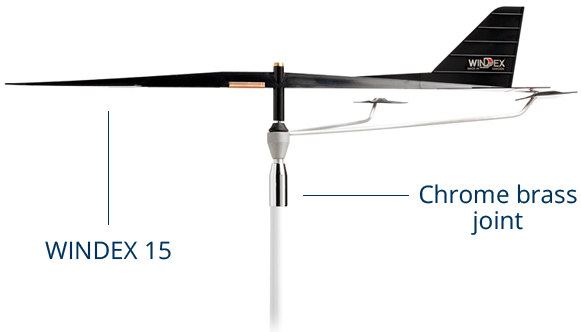 This unique solution positions the Windex 15 on top of the Scout’s rigid foam injected antenna, allowing for high quality VHF transmission and true undisturbed relative wind readings. This easy to install unit also will free up space on the top of the mast head. 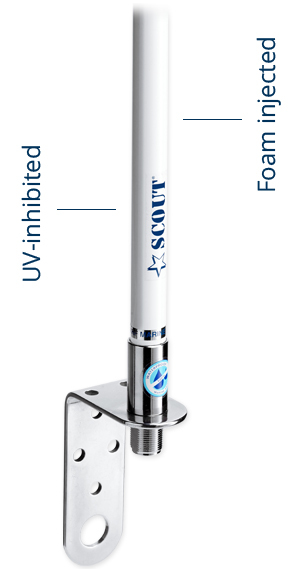 The Windex is securely connected to the Scout antenna with a chrome plated joint. The Windex continues its high performance with its famous sapphire jewel bearing suspension system allowing for wind Indication in all wind conditions, including very light winds down to 2 tenths of a knot. The Scout antenna maintains its superior quality with its reinforced fiberglass whip, 1.4 mm thick, which is fully foam injected with the special Scout 100% waterproof technology. It is painted with white ice lack and anti-UV filter to prevent deterioration to the color by the sun’s rays. Equipped with a 3 mm thick stainless steel mounting bracket, which guarantees maximum stability to the installation. The female N type connector allows for maximum signal transmission. The Windex Scout VHF 90 is made with a 90 cm antenna of 3dB Gain, suitable for long range communication. With all its premium features the Windex Scout VHF is a real must have for every sailboat owner.